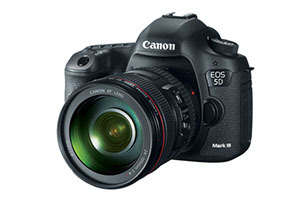 Canon just released a firmware update for the Canon EOS 5D Mark III. Firmware version 1.2.1 adds, amongst others, uncompressed HDMI out, a much sought after capability which previously was only available on select Nikon cameras (e.g., the D800/D800E and D4). Uncompressed HDMI output is now enabled. Enables the center AF point to autofocus when the camera is used with Canon EF lens/extender combinations whose combined maximum aperture is f/8. Fixes a phenomenon in which the LCD monitor may freeze and display Err 70 or Err 80 when a still photo is taken during Live View or in movie shooting mode. Fixes a phenomenon that may occur when the continuous shooting priority setting is enabled for multiple exposures, such that, after the sixth image is taken, there is a slight pause before the remainder of the sequence is completed. Fixes a phenomenon in which the viewfinder display shows incorrect information during AEB shooting. Communication with the WFT-E7 Wireless File Transmitter has been improved. When images have been successfully transferred with the WFT-E7 Wireless File Transmitter through the FTP protocol, an "O" will be displayed. When images have not been successfully transferred with the WFT-E7 Wireless File Transmitter through the FTP protocol, an "X" will be displayed. Fixes a phenomenon in which the camera may not function properly when an Eye-Fi card is used. Fixes a phenomenon in which the focal length value listed in the Exif information is not displayed correctly for images shot with the EF 24-70mm F4L IS USM lens. Fixes a phenomenon in which the lens firmware cannot be updated properly. Corrects errors in the Arabic language menu. Fixes a phenomenon in which the camera changes the AF microadjustment value to -8. Fixes a phenomenon in which the on-screen guidance cannot be fully displayed when setting the maximum limit value for the "Setting the ISO Speed Range for Auto ISO" option. This extreme wide aperture, standard zoom-lens for DSLR camera's with APS-C (1.5~1.6x crop) sized sensors. On such cameras it has a 35mm format focal range equivalent of 27mm – 52.5mm (depth of field equivalent at f/1.8: ±f/2.7). The fact that Sigma placed this lens in their “Art” lens series is an indication of the high quality we may expect of the lens. As of now, no exact release date nor indication of price (likely > $/€ 1000) has been given by Sigma. For more information, see the Sigma product page. 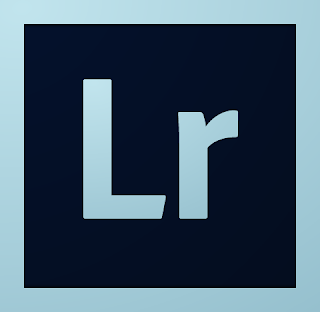 Lots of cool new features for the upcoming version of Lightroom (and most probably Adobe Camera Raw as well). To see for yourself what this new version of Lightroom has to offer, download the free beta from the Adobe labs website. There is already a plethora of videos and other information on the new Lightroom available on the internet, e.g., at the PhotoshopCAFE Lightroom 5 training site. 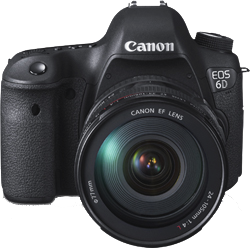 Canon just released a firmware update for its EOS 6D camera. Adobe has just released an update to its raw converters. The update provides support for additional cameras and lens profiles as well as fixes to bugs present in previous versions of the converter. If you're not using the latest version of the software (i.e., Lightroom 4, Photoshop CS6, Photoshop Elements 11), you can make use of the DNG Converter 7.4 application to get raw file support for the newly added cameras. Below is the complete list of changes (from Adobe). Nikon today released a firmware update for 9 of its cameras. 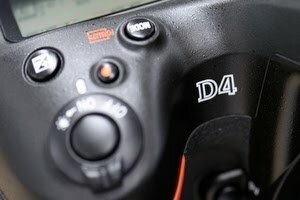 The D3200, D7000, D600, D800, D800E, D3, D3S, D3X, and the D4 all got an update. Changes for each update are below. When the camera's shooting mode is set to Auto or Auto (flash off), it now operates in Auto or Auto (flash off) mode. Prior to this upgrade, the camera functioned in [P] (Programmed auto) exposure mode. Live view can now be initiated even when the camera is set to "Auto" or "No flash" in GUIDE mode. In some very rare cases, colours would change with shooting when white balance was set to a specific colour temperature, as with Preset manual or Incandescent. This issue has been resolved. Frame output size has been changed from 95% to 100% when movie live view display is changed to "Information off" and an HDMI-compatible device is connected. An issue that caused the right edges of images to be somewhat white when captured at an Image area setting of DX (24x16) 1.5x with Active D-Lighting set to Off has been resolved. When the camera's shutter-release button was pressed repeatedly for uninterrupted shooting with the "Record to:" option in Camera Control Pro 2's Storage tab set to "PC+CARD", the camera would stop responding with displaying "Err" in its control panel. This issue has been resolved.